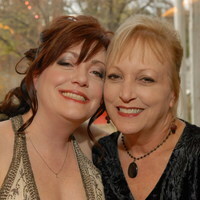 This is Terri Holt with her sister. Teri lost her sister to breast cancer. I am asking that you go to the following link and vote for Terri. It’s an easy vote with no registration required. One click and you’re done. While I realize this isn’t normal for Parrot Nation, this is a Flight Attendant family and her wish is so simple: She just wants to honor her sister by marching in a parade. You can vote every day. Please help if you have a moment. Voting ends at the end of the month which is soon. I thank you so much. Thanks so much! Please share the blog post! Evidently voting is over? I could not find a button to vote, only donate.